Discussion in 'Article Discussion' started by bit-tech, 25 May 2018. Ooh, that's exciting. @MLyons: SUMMAT'S BROK. Was related to a restart for GDPR related stuff. All is well again. So maybe I'm reading this wrong, but if Intel's current Virtual Fences fix doesn't work but isn't implemented in any silicon yet, doesn't that give Intel the opportunity to fix the issue before it's baked into any products? Or is Virtual Fences already being added into next gen as-yet-unreleased-but-too-late-to-change silicon? Something is still broken. Look at the lower-left corner of this image for the address the @MLyons link in your post points to. It doesn't do it in the forum though, only in the article page. Very odd. When you hover over it in the forums it works exactly as you would expect. I'm a little stumped on that. Make a thread in feedback to prevent cluttering the article up and I'll look into this more. The latter: if they're talking about putting it in chips due later this year, it's way too late to be making changes like that. Best case, you're looking at the generation after - or even the one after that. That's even assuming Intel bothers at all - I mean, even its workaround is going to be optional. Given the relatively short time since the attack angle has been discovered variant 5 - 17 (or whatever they end up being called) are inevitable, so regardless of what happens with variant 4 they will have to keep working on securing speculative execution for years to come. I'd expect EVERYONE's near-future silicon is vulnerable to SPECTRE class attacks. AMd, IBM, ARM, anyone who utilises Speculative Execution is going to be vulnerable for a few years as the 'easy' applications of SPECTRE to attacks are found, and methods to retain the performance of speculative execution with leakage are found. This won't be an easy or quick fix for anyone. Article updated with confirmation that the in-silicon fix does not extend to Variant 4. Time to head into the pile of obsolete technology and get the old Sparc workstations, 486 desktops, and Raspberry Pis out. In-order execution is the new word of the day. 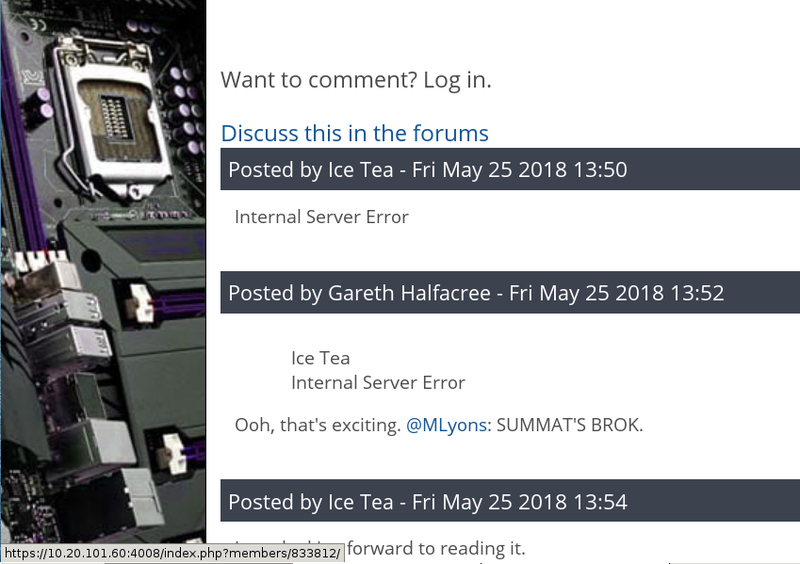 Have AMD announced an ETA for their hardware fixes (though presumably Zen 2 next year would include some mitigation)? We know that SPECTRE Variant 2 has a microcode fix - if any motherboard manufacturers actually roll it out, that is - and are not producing a microcode fix for Variant 4 (and, like Intel, have recommended Memory Disambiguation remain enabled). I think I'd be inclined to just push an overclock further and incur no cash cost, if only I could answer 2 above. 2. I STILL have no idea whether any fixes have been applied to my system as I can't find a single comprehensive list of required patches, dependent on components used. It's not a list but doesn't InSpectre by GRC tell you if you're all patched up.